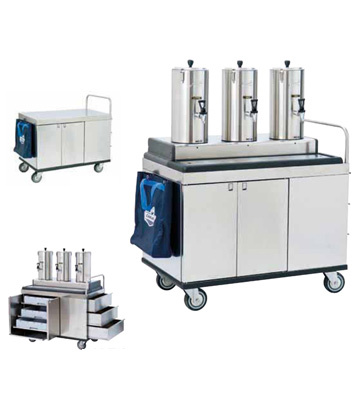 Camurri trolley cabinets are perfect for serving hot drinks to patients in hospital wards. The trolley cabinets have hinged doors and come with thermal beverage dispensers (with air casing) that are fitted into place with a simple bayonet fixing, keeping beverages at a steady temperature with a variation of only 4/5° per hour. 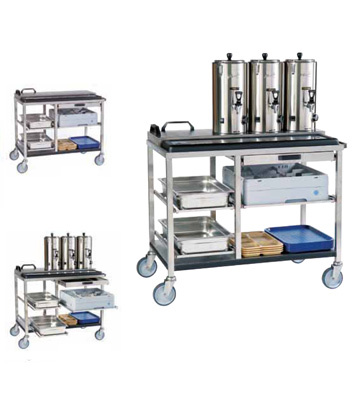 Camurri Open trolley cabinets are perfect for serving hot drinks to patients in hospital wards. 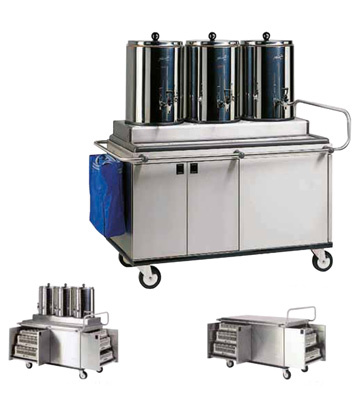 The Open Trolleys come with thermal beverage dispensers (with air casing) that are fitted into place with a simple bayonet fixing, keeping beverages at a steady temperature with a variation of only 4/5° per hour. Camurri Open Kompact trolley cabinets are perfect for serving hot drinks to patients in hospital wards. 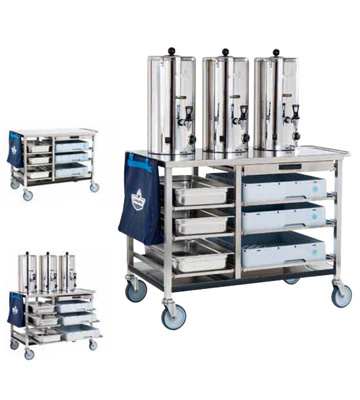 The Open trolleys cabinets come with thermal beverage dispensers (with air casing) that are fitted into place with a simple bayonet fixing, keeping beverages at a steady temperature with a variation of only 4/5° per hour. Stands S.10 – S.20 – S.30 – S.100 – SO. 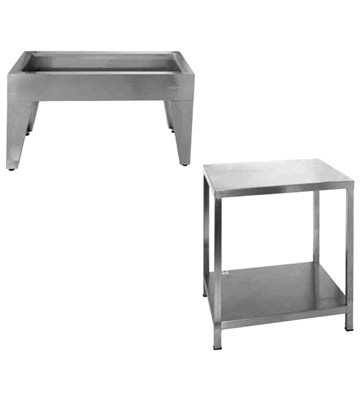 Camurri stands are ideal for any Camurri appliance.